Put simply, LSD does not cause death at recreational or therapeutic doses (less than 500 ug / 0.5 mg). An increase in news articles in 2012/2013 suggesting deaths related to LSD are almost all related to 25I-NBOMe and 25C-NBOMe, two new chemicals, available on blotter, but completely different from LSD. While there are substantial reasons why users should be cautious about LSD use (see LSD Health), death is not a major risk. Less than a handful of human deaths have been tied in the medical literature to the pharmacological effects of LSD, and none of these deaths have been unquestionably attributable to LSD's actions. The clearest case was documented by Fysh et al. in 1985; however, they fail to explain the circumstances of the death, only discussing the toxicological assessment, casting some doubt that the only explanation for the death was LSD. Estimates of lethal doses of LSD are much higher than 20 mg (20,000 ug) administered orally, more than 200 times a normal moderate dose of LSD (100 ug). The administration of this amount would require the ingestion of more than 200-400 units of street blotter, which typically contain about 50-100 ug of LSD (as of mid 2017). LSD has been used by tens of millions of people over the last 50 years and has been administered to tens of thousands of patients in psychotherapeutic settings (mostly prior to 1960). Some suicides have been tied to the use of LSD, though it is difficult to positively link an individual's choice to take their own life with their past use of LSD. In general, LSD is not reported to substantially increase the risk of suicide and those who do commit suicide after taking LSD are likely to have suffered from pre-existing suicidal tendencies. Some deaths have been associated with inebriated or combative behavior while under the influence of LSD, including falling or jumping from a height or dying after being beaten by police. Because the numbers of fatalities associated with LSD are so low, it is difficult to determine the risk of death associated with LSD. Erowid estimates that the risk of death from taking LSD is probably less than one death per million LSD use sessions, with risk of death higher among those predisposed to suicide and among those without a sober sitter present to help avoid accidents or fights. In his 2001 book "Illegal Drugs: A Compete Guide to Their History, Chemistry, Use and Abuse", Dr Paul Gahlinger states "LSD is not toxic in the biological sense.". A 2008 review of the scientific literature titled "The Pharmacology of Lysergic Acid Diethylamide: A Review", by Passie et al. gives the number of pharmacological fatalities from LSD as zero: "There have been no documented human deaths from an LSD overdose." In 2017, the San Louis Obispo County Coroner's Office ruled that a woman who died shortly after being transported to the hospital from the Lightning in a Bottle festival on May 28 had "died from acute LSD toxicity" (see below). As of August 2017, the Erowid Expert Network considers LSD as a pharmacological cause of death in this case to be extremely unlikely and awaits further data to better document the death. Though LSD can result in increased body temperature and vasoconstriction at high doses, there are less than a handful of documented deaths or near-fatal medical cases relating to the pharmacological action of LSD in humans. None of these include enough documentation to prove unquestionably that LSD has, by itself, resulted in a person's death. Below are the best documented possible pharmacological fatalities that we have been able to find attributed to LSD. On May 28, 2017, Baylee Gatlin, a 20 year-old-woman, was transported to Twin Cities Community Hospital and declared dead, after being taken to support care and then to emergency medical services at an outdoor festival. The San Luis Obispo County Coroner's Office ruled the death to be caused directly by the low level of LSD detected in her blood. Based on the issues below, Erowid now considers this to NOT be an LSD pharmacological fatality. The Coroner's Report states that a "Complete Drug Screen" was performed on blood samples and vitreous fluid, but it is not clear what this entailed beyond the assays for LSD, "bath salts", GHB, "Psilocin (metabolite of Psilocybin) and Synthetic Cannabinoids ('Spice')", U-47700, Buprenorphine, Ethyl Alcohol and Lidocaine that are specifically mentioned. Apparently the coroner did not order tests for any NBOMes, which have been misrepresented as LSD and caused dozens of deaths in the last decade. As of August 2017, no NBOMes appear on the Drug List available in the Coroner & Medical Examiner section of the testing facility that performed the toxicological analysis. Further, in September 2017 it was reported that the medical examiner responsible for declaring the death to be from "acute LSD poisoning" was removed from his position at the Coroner's office due to both private conduct (a DUI) and his controversial reports in two deaths, those of Andrew Holland and of Baylee Gatlin. Vaughan M, Fountain M. "No way woman died from LSD overdose at local music fest, experts say -- 'It's not possible'". San Louis Obispo Tribune. 2017 Aug 18. "The autopsy report for 20-year-old Baylee Gatlin, who died May 28 at Twin Cities Community Hospital in Templeton after attending the Lightning in a Bottle music festival at Lake San Antonio, said the specific cause of Gatlin's death was acute lysergic acid diethylamide toxicity. But medical experts who have studied LSD and were contacted by The Tribune to review the report criticized the finding, saying that the low level of LSD found in her blood could not have killed her and those involved in the investigation must have failed to identify substances that were more likely to have caused her death. "It defies logic", said Dr. David E. Nichols, a pharmacologist and medicinal chemist considered a global expert on hallucinogens. He retired from Purdue University after 38 years of research in the field and is now an adjunct professor at the University of North Carolina at Chapel Hill. "It's just not logical or reasonable to conclude that she is the first of 30 million people who have safely taken LSD to have died (from that small amount). It's not possible. There is something else. They did not analyze what they should have analyzed", Nichols said. McGuinness C. "SLOP County Sheriff's Office hires new medical examiner". San Louis Obispo New Times. 2017 Sep 14. Walter's work again came under scrutiny over his determination that Baylee Gatlin, a 20-year-old Ventura resident, died from "acute LSD poisoning" after attending the Lightning in a Bottle music festival in May. In an article by The Tribune, one expert said Walter's determination "defied logic," stating that an LSD overdose was "not possible". According to court documents, Walter is currently facing possible disciplinary action from the California Medical Board in connection with his DUI arrest. Walter could lose his medical license as a result of the ongoing disciplinary proceedings. Sheeler A. "Coroner said woman at music fest died from LSD overdose. Now, he says she didn't". San Louis Obispo Tribune. 2017 Sep 20. Baylee Ybarra Gatlin, 20, died of multi-organ failure, hyperthermia (overheating) and dehydration, with other significant contributors listed as coagulopathy (a bleeding disorder) and "possible LSD intoxication" after attending the Lightning in a Bottle music festival at Lake San Antonio, according to "a clarification" that an office spokesman said was submitted by former county medical examiner Dr. Gary Walter. The lack of specifics about the context or any documented symptoms the decedent had leaves some doubt about the finding that this was an LSD-caused death. The patient died 16 hours after being admitted to the hospital and no details are given about his condition. In later cases (such as those of Martin Cotton or William Parker Martin), LSD was listed as a cause of death by a coroner where more plausible causes of death were the injuries received in fights with police officers. We know nothing of the specifics of what lead to this unidentified man's death. Fysh RR, Oon MCH, Robinson KN, Smith RN, et al. "A Fatal Poisoning with LSD". Forensic Sci Int 1985 Jun-Jul;28(2):109-13. "Radioimmunoassay, high-performance liquid chromatography and capillary gas chromatography-mass spectrometry were used to detect and measure LSD in the first reported case of fatal poisoning by LSD. [...] In a recent case [...] a 25-year-old male died 16 h after being admitted to hospital, and a Coroner's enquiry concluded, on the basis of the medical and toxicological evidence, that the actual cause of death was poisoning by LSD. This paper describes the toxicological aspects of the case in which LSD was analysed in ante- and post-mortem samples by various techniques." Questions remain about the cause of death in this case, as a month passed between the time of the victim's death and his body's discovery (complete with rodent bites) in a warehouse. Griggs EA, Ward M. "LSD Toxicity: A Suspected Cause of Death". J Ky Med Assoc. 1977 Apr;75(4):172-3. "An extremely high liver tissue level of lysergic acid diethylamide (LSD) was measured in a 34-year-old male in whom autopsy showed no anatomic cause of death. Death from LSD overdose apparently has not been previously confirmed toxicologically. The possibility that this case represents death due to toxic effect of LSD is discussed." "A partially clothed 34-year-old male was observed while engaged in bizarre behavior, and was subsequently accosted during an attempted break-in in November, 1975. He fled the scene and was found dead in a deserted warehouse, one month later. An autopsy was performed to ascertain, the cause of death." These case reports do not document a death, but do provide details about serum and gastric levels of LSD after a group of major non-fatal overdoses. The article describing these case reports explains that these patients mistook the powdered LSD for cocaine. Klock JC, Boerner U, Becker CE. "Coma, Hyperthermia, and Bleeding Associated with Massive LSD Overdose, A Report of Eight Cases". Clin Toxicol 1975;8(2):191-203. "Eight patients were seen within 15 min of intranasal self-administration of large amounts of pure D-lysergic acid diethylamide (LSD) tartrate powder. Emesis and collapse occurred along with sign of sympathetic overactivity, hyperthermia, coma, and respiratory arrest. Mild generalized bleeding occurred in several patients and evidence of platelet dysfunction was present in all. Serum and gastric concentrations of LSD tartrate ranged from 2.1 to 26 ng/ml and 1000 to 7000 ug/100 ml, respectively. With supportive care, all patients recovered." Suicides caused by LSD use have been reported and have received sensational media attention since the 1950s. While a handful of suicide cases have been tightly tied to the use of LSD, most LSD-associated suicides occurred weeks or months after the last use. Thus it is difficult to separate prior exposure to LSD from actual causation due to that exposure. Though the risk of suicide should be taken seriously by therapists, no strong evidence was found that LSD increased the risk of suicide among psychotherapeutic patient populations evaluated by a variety of researchers in the 1950s and 1960s. As the LSD psychotherapy researcher Betty Eisner put it: "We are inclined to believe [...] that the possibility of suicide may be a real hazard, as it is in the treatment of any serious mental illness." Sidney Cohen, one the primary researchers writing about the issue in the 1960s described in his 1960 summary of a survey covering over 5000 patients, "It is noteworthy that all the suicidal acts have been in disturbed patients rather than normal subjects." One notorious case of a suicide associated with LSD was that of Diane Linkletter, in October 1969. This twenty-year-old woman jumped out of a window and fell to her death. It is important to note that no direct evidence connected LSD to her death, a person present during the event made no mention of LSD to the police, and toxicological tests performed on Linkletter's body revealed that no drugs were present. However, her famous father, Art Linkletter, said that LSD had caused her death and, later, that LSD flashbacks lead to her suicide. Although he had publicly preached against problems of a growingly permissive culture, after his daughter's death he became an anti-drug crusader. See Snopes.com for a discussion of this case. Strassman RJ. "Adverse Reactions to Psychedelic Drugs. A Review of the Literature". J Nerv Ment Dis. 1984 Oct;172(10):577-95. "Reports of suicide have been occasionally described in the literature, and are most often included in large case analyses. Data regarding the role of LSD in these individuals' self-destructive behavior is difficult to glean from these reports, but McGlothlin et al., for example, described a weak temporal relationship between LSD use and suicidal actions. What is missing in these reports, but most germane to them, is information regarding premorbid symptomatology and suicide attempts, other drug alcohol abuse, and the nature of the situation in which LSD was taken." Smart RG, Bateman K. "Unfavourable Reactions of LSD: A Review and Analysis of the Available Case Reports". Can Med Assoc J. 1967;97:1214-21. "In summary, suicide attempts are an important complication of LSD administration." Eisner BG, Cohen S. "Psychotherapy with Lysergic Acid Diethylamide". J Nerv Ment Dis. 1958;127:528. Stoll has mentioned two suicides which occurred in Europe following the experimental administration of LSD-25. In one case the subject was given the drug without her knowledge. One of Savage's schizophrenic patients committed suicide shortly after [the administration of LSD-25]." Behavioral fatalities include accidents and deaths resulting from inebriated behavior. Because LSD can alter judgement, people can and do engage in dangerous behavior while on LSD or as they come down. Especially at high doses, LSD can radically alter perception of reality, link normally disconnected ideas, and trigger questioning of basic assumptions about the world. The classic LSD behavioral death represented in popular culture is "the guy who took LSD and jumped out a window, thinking he could fly". Some of the cases attributed to delusional behavior were suicides with pre-existing suicidal ideation and clear suicidal intent (Diane Linkletter). But there is no reason to doubt that tragic deaths resulting from inebriation can and do happen to people on LSD. It is well known and documented that people die as a result of alcohol intoxication causing errors in judgement about driving. Since LSD can cause a very surreal disorientation and substantial changes in judgement about the surrounding world and about one's physical skills, some cases of deaths are likely. However, it is surprisingly difficult to find clear, documented cases. The two cases of Diane Linkletter and Frank Olson (discussed above under Suicide) appeared repeatedly in media representations of LSD-caused delusional behavior deaths. But they end up confusing the issue of how frequently people die as a result of inebriated behavior while on LSD. In of September 2010, Google.com's search yielded 127,000+ results for the search "LSD" and "thought he could fly", but confirmed cases are few and far between. A confirmed case of this type of death would include: the presence of LSD determined by autopsy, lack of suicidal intent, and no other likely cause of death. Several cases exemplify this type of behavioral death. 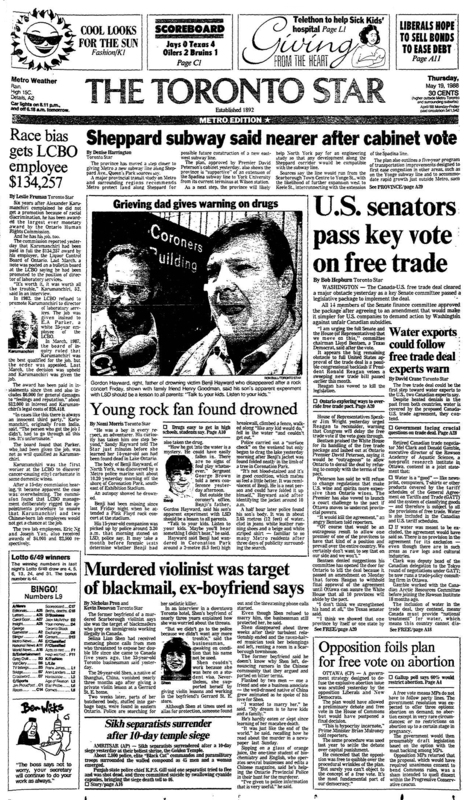 These include: Joe Sicherman (1989), who reportedly leapt from his dorm window while on LSD, though no confirmation of the presence of LSD nor what he was thinking before he fell to his death are provided; Steven Taylor (2002), a 16-year-old with a "hobby" of jumping from tall structures, who local newspapers reported jumped/fell to his death while on LSD; and Anthony Stewart (2008), a 17-year-old skateboarder, who broke through a plate glass window and fell seven stories to his death while reportedly on LSD. Unfortunately, some LSD-related deaths in the 2000s happened to individuals while in police custody and after being beaten by officers. Though coroners' reports or police statements may state the cause of death as LSD, most of these cases do not present scientifically sound arguments for LSD as the cause of death. Several such reports make it obvious that the individuals were combative when they should have complied with officers, placing them in the category of LSD behavioral deaths, however unfortunately or unfairly. While Erowid believes that more cases of behavioral deaths related to LSD likely exist, we have been unable to find clear references. We invite readers to let us know about cases they find where details are confirmed and documented. One curious note is that Benji's jacket was found folded neatly near where he drowned. It is unclear what role LSD played in his death. Bradburn J. "Retro T.O. : The Death of Benji Hayward. Toronto, Canada. May 1, 2012. May 13, 1988. Exhibition Stadium is packed for a Pink Floyd concert. Among the attendees is 14-year-old Benji Hayward. Despite warnings from friends, Hayward and a friend bought two pieces each of blotter paper sprinkled with LSD. [...] He fell into the water near Coronation Park and drowned. Toronto Star. "Grieving dad gives warning on drugs. Toronto, Canada. May 19, 1988. Benji had been missing since last Friday night when he attended a Pink Floyd rock concert at the stadium. His 15-year-old companion was picked up by police around 3.30 a.m. that morning stoned on LSD, police say. [...] Hayward said Benji wandered into Coronation Park around a 2-metre (6.5 feet) high breakwall, climbed a fence, walking along "like any kid would do," fell into the water "and couln't get out." Sicherman A. "A father's plea: Be scared for your kids". Star Tribune. Minneapolis-St. Paul, MN. Nov 8, 1989. An 18-year-old man was seen falling from a seventh-floor dorm room in Madison, Wisconsin during his first year of college. The father's lament about his son's death, which has been reprinted a number of times by the Star Tribune, states that his son was not suicidal and speculates that "The likeliest explanation we've heard is that he had the hallucination that makes a person think he can fly." Unfortunately, no corroborating toxicological evidence was printed with the story and the friends he was with before he "went out the window" are not quoted. Presumed delusional behavioral error after taking LSD, but additional corroborating details would solidify this case. No Author. "Teenager on LSD thought he could fly: 16-year-old fell to his death from car park". Bedford Today Bedford, UK. Mar 21, 2002. A 16-year-old male with "a hobby of jumping from high structures" in Bedford, England, was seen falling to his death by a police officer. An inquest found that he had no suicidal intent. Given his reported "hobby", he likely did not "think he could fly", but instead made an inebriated error in judgement about how dangerous the jump was. The article does not provide confirmation of the presence of LSD. Marshall N. "Teen killed in plunge from hotel window". Tulsa World. Oklahoma. Apr 4, 2008. A 17-year-old male ran through a plate glass window and fell seven stories to his death. Police speculate that he may have been under the influence of a hallucinogenic drug, possibly LSD, but no confirmation of LSD is provided and no record of what he was saying, doing, or thinking just prior to his fall is provided in the story. Weeks J. "Does LSD Kill?" The Northcoast Journal. Aug 30, 2007. Moore CL. "Martin F. Cotton II". Redwood Curtain Copwatch. Aug 9, 2007. A 26-year-old man, Martin Cotton, died while in police custody after suffering at least some level of physical beating from the police. Despite only finding 10.6 ng/ml in Cotton's blood, well below fatal levels, the Coroner told news sources that he would rule LSD as the cause of death. According to Upshall and Wailing, 1972, plasma levels of LSD in normal subjects after receiving 160 micrograms orally were between 1.6 and 6.2 ng/ml at 260 minutes after dosing. Other papers have shown substantially higher LSD plasma concentrations without leading to fatality. Cotton's LSD use may have resulted in his angering the police in a way that caused him to be beaten repeatedly, eventually resulting in his death. Turner K. "Coroner's office blames drug use in bizarre death". Cleveland.com - The Plain Dealer. Jan 2008. A 19-year-old man, William Parker Martin, died in 2007, after struggling with police. A subsequent toxicology report found "only LSD and a prescribed anti-depressant". The man's LSD use likely resulted in his combativeness and probably contributed to his lack of necessary restraint to avoid the fatal fight with the officers. There is no way to determine an LD50 for LSD in humans. LD50s are only ever experimentally determined in animals, and extrapolations from one species to another for lethal dose are notoriously unreliable. Based on the real-world killing of lab animals the following results have been published for LD50 studies of LSD-25.3 Bear in mind that an oral LD50 is commonly 2 or 3 times an intravenous LD50. The rabbit data has been omitted, as rabbits are extremely overly sensitive to all the major hallucinogens except for mescaline and similar compounds. Please also note the values above are given as mg/kg of body weight, not as simple mg doses. Unfortunately, there is no simple way to extrapolate from doses of drugs that are lethal in animals to those that will kill humans. Haddad L, Winchester J. Clinical Management of Poisoning and Drug Overdose. W.B. Saunders Co. 1990. p 459. Stafford P. Psychedelics Encyclopedia. Ronin Publishing. 1992. p 70. Usdin E, Efron DH. Psychotropic Drugs and Related Compounds: 2nd Ed.. Pergamon Press. 1979. Trout K. Personal Communication. 2002. Cohen S. "Lysergic acid diethylamide: side effects and complications". J Nerv ment Dis. 1960;130:30. Nichols DE, Grob CS. "Is LSD Toxic?" Forensic Science International. 2018;284:141-145.